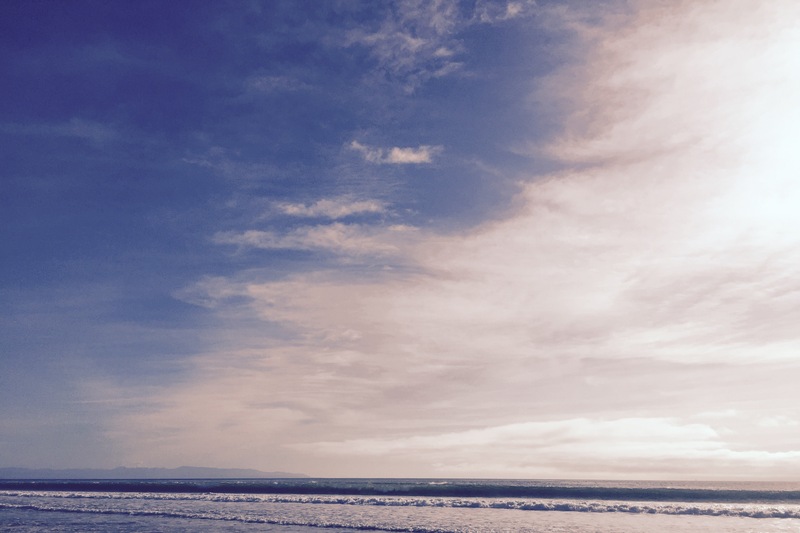 A Writers Retreat, A Miracle, Say Yes! 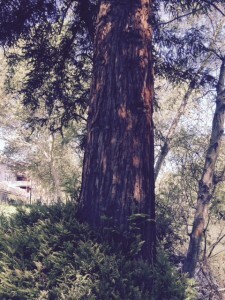 I attended the “Women Writers in the Redwoods” conference last year. Thirty women came and were coached by five teachers in an incredible setting at Pema Osel Ling Retreat Center outside of Coralitas, California. Today, I found out I could have a discount/partial scholarship. I immediately wrote back and said, “Yes.” Within a few minutes, a friend asked a favor, and paid for the rest of the conference. I do believe in saying yes, even when I don’t necessarily know how its all going to work out. I’m always amazed when events are orchestrated to bring a gift. The retreat last year helped me recommit to my writing. I started blogging, writing my next book, and rejoined a poetry writing group. The retreat this year will help me continue my writing journey, make new writerly friends, and see again all the wonderful women I met last year. And I know there will be unknown mystery gifts coming too. Just morning while reading a book on meditation, creativity, and joy, I thought I would like to join a meditation class. This isn’t a meditation class, but it is held at a Tibetan Buddhist retreat center in the Santa Cruz mountains. I do plan on meditating while there. Ah life, ah angels, thank you, thank you for your gifts. And remember, when opportunity shows up, say yes. What unexpected gifts have you received lately? Any miracles to report? Pelican Twins! Well, my sister and I are not exactly twin pelican chicks, but we still have a lot of life in both of us. She was dancing this weekend on the East Coast and her husband filmed her. I saw the post on Facebook! I dance at my Jazzercise class most mornings. Did you know that people who dance fight dementia? Not that we’re worried about that at our age. I just know I feel great when I dance. 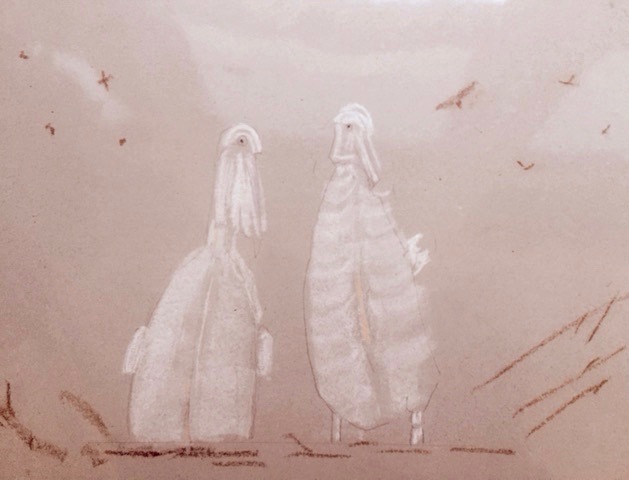 I drew the chicks above in my Drawing 2 class at Cabrillo College, our local community college last spring. I was very into learning how to draw birds, not a natural talent, but in the end I had so much fun. This was my teacher’s favorite of all the drawings I did. But, his wife was expecting twins! My twin sister, Laurie, and I are very close, despite the fact we’ve lived most of our lives apart. We were born at midnight, so we have different birthdays. No, we are not identical. I, yes, was born first. Unfortunately, my cord was wrapped around my sister’s neck, and she was born blue. Yes, she forgave me. Laurie has always been so adventuresome and brave! I’ve followed her on some of her teaching travels to Brazil and Venezuela. Just a few short years ago on our birthday I followed her across a small bay to snorkel in the turquiose waters with lots of colorful fish. She has helped me overcome my shyness and timidity, and to do things I never thought I could. Happy Birthday, sweet twin. We’ll talk again this weekend, and I’ll see you next summer. Can’t wait! overlooking pink eucalyptus and pine. live in an intentional arts community. cat on my lap, I marvel. a sudden awakening, a rebirth. “Be still and know I am God. but with stars and moon revealed. it felt like to kill someone. lit candles and prayed for days. to Laura, Maddy’s brave mother. I paint, pray, and write. I loved this book. 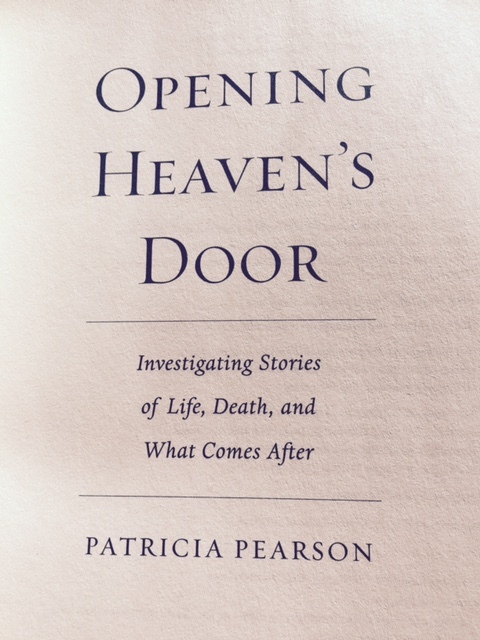 Patricia Pearson is not only a eloquent writer, but she weaves her personal story with detailed stories of others. Concurrently, she reports on scientific research about people’s moment of death and near death experiences. I am fascinated by these stories because in my psychic hearings with people, often deceased loved ones psychically show up. I can hear them, and in my mind’s eye, see them. I am honored to meet these souls and transmit messages to and from loved ones. 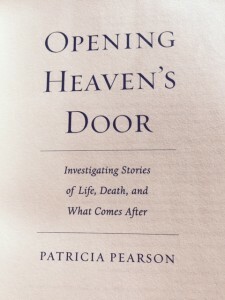 Opening Heaven’s Door could help those who are facing their loved ones or their own illness or death. It lessoned the fear of death for me. She sums up her works by saying, “When the dying leave us, it’s like a footprint in the sand that needs to be filled in. Where the water rushes in, where love rushes in.” Such a wise and profound book!